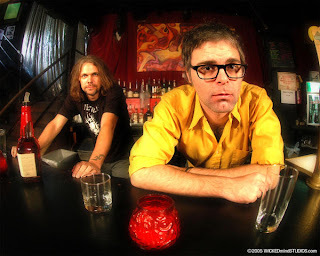 - Local H at Double Door - Also with Electric Six and local brother-sister garage rock duo White Mystery. Doors at 9 p.m., show at 9:30 p.m., $65 (includes hosted bar: Draught Beer, Well Drinks, Wine, Water and Soda). 21 and over. More info and tickets. - The Jesus Lizard at Metro - Also with Disappears. Doors at 9 p.m., show at 10 p.m., $50 advance, $60 day of ($125 VIP tickets also available), 18 and over. More info and tickets. - The Fiery Furnaces at Lincoln Hall - Also with Cryptacize. 10 p.m., $20 advance, $25 at door, 21 and over. More info and tickets. - The Tossers at Reggie's - Also with Yakuza and Scott Lucas & His Married Men. Doors at 7 p.m., show at 8 p.m., $25, 21 and over. More info and tickets. - Crystal Castles at Logan Square Auditorium - With both a live set and a DJ set from Crystal Castles, and also with DJ Alex Zelenka. 8:30 p.m., $50, 17 and over. More info and tickets. - Bobby Bare Jr. at Schubas - Also with David Vandervelde and Ben Clarke. 9:30 p.m., $20 advance, $25 at door, 21 and over. More info and tickets. - Pegboy at Beat Kitchen - Also with Shot Baker and Anxiety High. Doors at 9 p.m., show at 10 p.m., $20 advance, $25 at door, 21 and over. More info and tickets. - Urge Overkill at House of Blues (Back Porch Stage) - Also with A Friend Called Fire. Doors at 9:30 p.m., show at 10 p.m., $40 advance, $44 day of, 21 and over. More info and tickets. - Tight Phantomz at Quenchers - Also with White Savage. 9 p.m., $10, 21 and over. More info. - Margot & the Nuclear So and So's at Subterranean - Also with Everything, Now!. Doors at 9 p.m., show at 10 p.m., $30 advance, $40 day of, 21 and over. More info and tickets.